The Canaan Center for Organic Research and Extension (CORE), is a not-for-profit Center located in the rich agricultural region of Jenin in Northern Palestine. CORE will serve as a national center for research and extension activities to promote organic production and marketing of fruits, vegetables and grains in Palestine and abroad. The establishment of this Center represents a unique opportunity for Palestine and Palestinians to engage in and benefit from research and education that will provide new agronomic and marketing opportunities for small producers and their families by conducting essential training and extension activities in ecological farming systems, building community organizations, and revitalizing many of the rich agricultural and social traditions of Palestine. 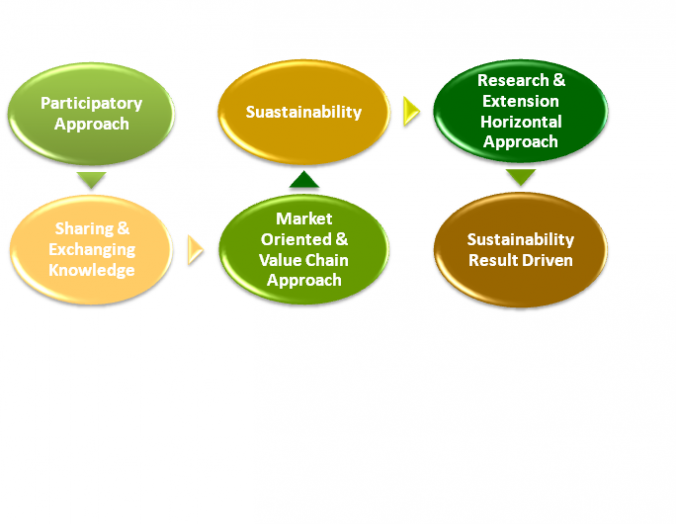 The program methodology will structure and guide market-oriented interventions using the Participatory Market Chain Approach (PMCA), a methodology that focuses on (a) trust building among actors and (b) the identification and implementation of business opportunities (i.e. commercial innovations) with and by sector stakeholders. This approach is in contrast to more conventional methodologies that primarily focus on the identification of market system constraints prior to plan interventions the project will identify specific business potentials and help bring them to materialize. CORE is a national research center that intends to serve all the operators and stakeholders of the organic sector in Palestine. CORE is based in Jenin area, one of the richest agricultural areas in Palestine. THE MODEL The successful model utilized by the Palestine Fair Trade Association and Canaan Fair Trade has been named ‘a world model for rural transformation’ by the International Labor Organization (ILO). The Center will expand the benefits of this proven model throughout Palestine. Utilizing markets, both local and international, will create a space for the small traditional farming family in the modern world. Training and extension activities in ecological farming will also build community organizations and revitalize many of the rich agricultural and social traditions of Palestine. SUSTAINABILITY The Center will develop Palestinian farming communities to define, analyze and implement appropriate market opportunities. As this process advances CORE’s role will evolve from leadership to facilitation to a supporting role as the local communities themselves take the lead. The project will increase employment in a vibrant organic agribusiness environment in Palestine, and facilitate international market opportunities from Palestine. Income generating programs such as the Seed Bank, and organic nursery and research plots that are crop sharing for the farmers, will serve the agricultural sector long term and be a sustainable source of income for the Center. FARMER DRIVEN The Center will help farmers devise methods to realize economic advantages from organic farming by increasing yields and lowering input costs. Organic farming practices such as legume cover-cropping, green manures, composting, crop rotation and traditional seed varieties will reestablish farm fertility and traditional pest control, and give opportunity for grass roots farmers, women, and youth to participate in activities that are economically rewarding and culturally meaningful. INTERNATIONAL EXCHANGE CORE will collaborate with universities and other organic research centers around the world, pulling resources in organic farming into Palestine. They will share the wealth of Palestinian traditional farming knowledge with the organic movement around the world to help link the center with ideas, support, and partnerships. CORE PROGRAMS include bringing visiting professors and research to Palestine, study abroad in organic farming for Palestinian students, scholarships and mentorships in an incubation project, and projects like Green Track Palestine converting tractors to run on used vegetable oil. CORE RESULTS will be economic empowerment of Palestinian farmers, including networking with international institutions to break their isolation, a sustainable product value chain from farmer to end user based on organic farming best practices, increased employment in Palestine in all sectors, and improved health of the farmers and farming communities through improved food quality.